Discuss what makes the development of American institutions and values unique. In order to understand and appreciate the development of our institutions we need to discuss them from an historical perspective. 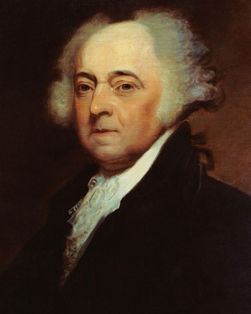 Adams stated: "But what do we mean by the American Revolution? Do we mean the American war? The Revolution was effected before the war commenced. The revolution was in the minds and hearts of the people.. .. This radical change in the principles , opinions, sentiments, and affections of the people was the real American Revolution." Thus the American Revolution was a process, that started with our first representative government in Virginia with the House of Burgesses of 1619 and continued up through the Declaration of Independence of 1776. What was significant about the American Revolution was not that the colonists invented new principles; but, within the context of the American environment. they realized the theories of the wisest European writers. Thus; it was not new revolutionary ideas that bought about the American Revolution or changed the colonist's complacency with England. It was the revolutionary conditions of America 's environment (free land = opportunity which = frontier) which impacted America's social, economic, and political systems as they were transplanted from Europe and developed within this country . 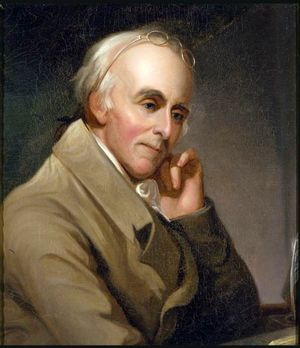 This process of European ideas being transplanted to America and interacting within the environment forced American thinkers to come up with new ideas to understand and explain their position. independence on American lines. The isolation of the frontier from England or as settlement moved deeper into the continent allowed for the development of truly American ideas which redefined old values and produced new ways of looking at freedom ( opportunity, and social mobility). This process was the American Revolution, as it, reinforced the worth of the individual both within society and to himself . This is what Adams had in mind when he said: "This radical change in the principles, opinions, sentiments, and affections of the people was the real American Revolution. The Revolution was in the minds and hearts of the people ..... The Revolution was effected before the war commenced." In otherwords; the American Revolutionary War was fought to preserve what the American Revolution as a process had completed by 1776. Dr. Rush from Massachusetts, and the Continental Army's Surgeon General expanded on John Adams' statement: " There is nothing more common than to confound the terms of the American revolution with those of the late American war. The American war is over: but this is far from being the case with the American revolution. On the contrary, nothing but the first act of the great drama is closed." Again, we see the development of American ideals and its development as a ongoing development. Dr. Rush's relevance here provides a backdrop of how The West, in popular images was the spring board to future American ideals. _good in the frontier. There is no social mobility without the frontier because once it has bee conquered there is no more opportunity. Without opportunity the rugged individual does not haye the chance to make pragmatic adjustments to his/her environment in order to enhance his/her advancement. The frontier can only exit in an unstructured environment (laissez faire) which gives the people who are rugged individuals and who have the abilities to adjust to that environment (Social Darwimsm) the opportunity to be successful. As America's free land disappeared and the economic base of our society changed (from agrarian to big business,) the nature of America's frontiers also changed. Business opportunities became the new frontier. Once a frontier is conquered or becomes settled and a society is firmly established , social classes develop and society becomes rigid. This happens because the controlling aristocracy (be it cattlemen versus the homesteaders, or in business , the dominant business entity versus the new business entity) uses its influence to keep others out. Consequently , the opportunity that once existed passes . Once a frontier is conquered or becomes settled and a society is firmly established , social classes develop and society becomes rigid. This happens because the controlling aristocracy (be it cattlemen versus the homesteaders, or in business , the dominant business entity versus the new business entity) uses its influence to keep others out. Consequently , the opportunity that once existed passes .